Why choose Adavanced Chiropractic in Everett, WA? Same day appointments, multiple forms of traction tables, focus on home care and over 25 years in practice along with a dedication to quality care that will get you back to your normal pain free life as soon as possible without breaking your bank are a few reasons. It is difficult finding a doctor and not all chiropractors are the same. If you have concerns regarding finding a doctor for your particular condition I would enjoy the time to sit and discuss your specific questions. If I do not feel I can help you I will direct you to the right doctor who can. Call our office today at (425) 353-7246 for an appointment! ​We are conveniently located in Everett, minutes from Boeing, Fluke, Fred Meyer and Everett Mall and just off exit 189 from I5. We make special arrangements for same day appointments. I have extensive experience with whiplash type injuries and treat whiplash injuries daily. I have suffered from low back pain in the past and it can limit your life greatly. Low back pain responds well to chiropractic and I offer spinal decompression in the office. ​We will do all we can to make your treatment affordable. We accept most insurance. Call for assistance with insurance questions. If you were in an auto accident we do accept PIP and 3rd party liability claims. We also accept L&I claims and can help you open your claim. If none of those apply to you and you will be strictly a cash paying patient we offer payment at the time of service discounts and do our best to get you back into shape without causing financial stress. Chiropractic can help restore joint function and relieve tight musles to help decrease your back pain. At Advanced Chiropractic you will also learn how to care for your own low back to get out of pain faster and stay out of pain. Have you injured yourself at work and need assistance with an LnI claim. Advanced Chiropractic can help. If you have an open claim or need help opening a claim we can help. We treat neck, shoulder and back work injuries. If you have pain due to a car accident we can help. 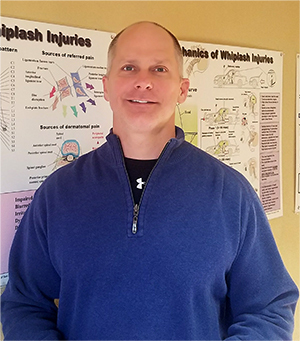 Dr. Beasley has over 25 years of treating whiplash injuries. We have on site X-rays, massage therapy and can help with all your insurance needs. We take third party claims if you do not have PIP.